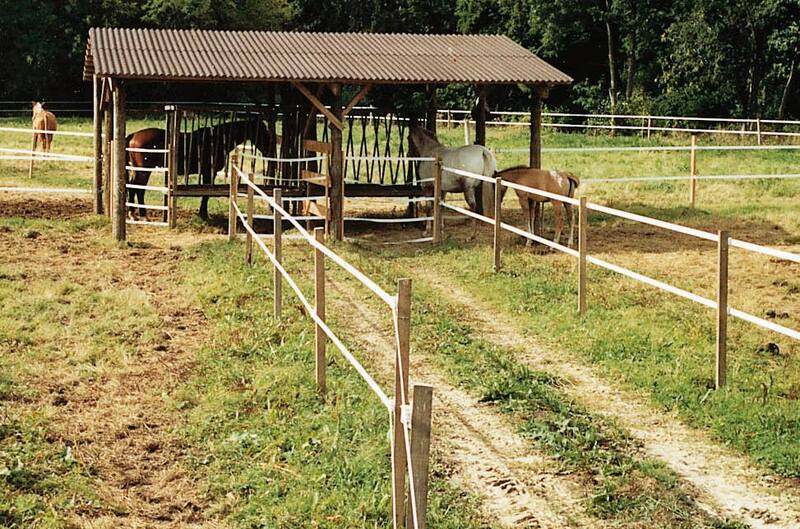 This fence setting provides a daily turnout area where horses encourage each other to run the length of the corridor for self-exercise.This is particularly effective with younger horses. Rearrange the horses during the next turnout to encourage more movement. I want you to know how much I love your product. Friends of mine have bought other brands of type tape fencing and have had horrible results. The fence that my friend and I put up years ago at the old place still looks great and does the job. All I have to do e=is every spring check the line and tighten up spots where deer have sagged the tape. I also like the improved "holders" the twist of a knob will make it that much easier to install and think more secure against challenges of wildlife. 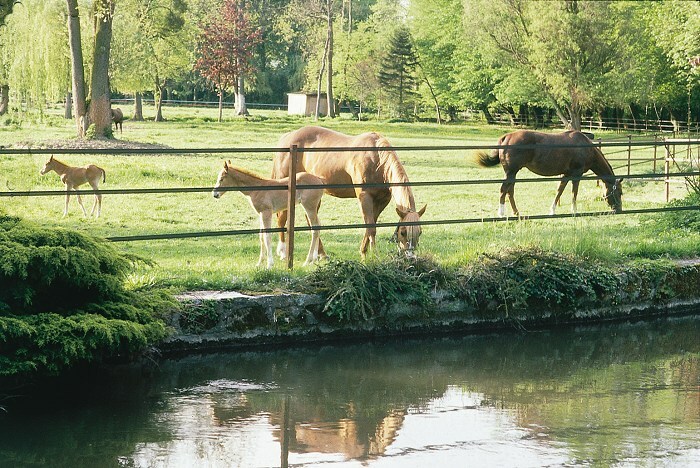 Create an outdoor arena to train your horses for jumping in total confidence. 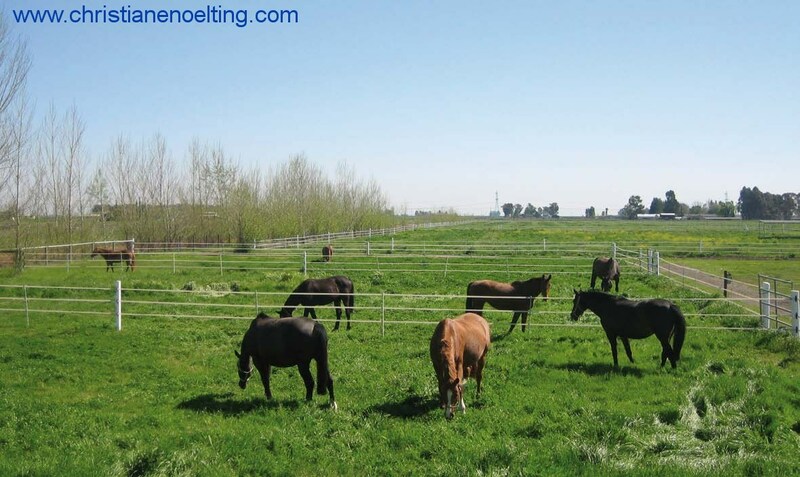 Fencing for a well designed area with 3 or 4 strands of Horseguard electric fencing tape, easily visible has excellent possibility to ameliorate your horse jumping training. Create a central hay distributor for 4 adjacent paddocks with an access lane for the tractor to bring the food easily. We installed horseguard 3 years ago on our small farm. This product is fantastic. It has survived deer jumps, high winds, and my belgian draft HORSE. Great product, it is doing GREAT!!!... we recommend it to many people. We put it up last week and it went so fast. Half a day for all the fencing we had to do. The design and system is so well put together! We compare the material samples from your catalog to what they sell at Farm & Fleet and there is no comparison. You can be proud of your product. It looks so good here with a new fence. Thanks you. 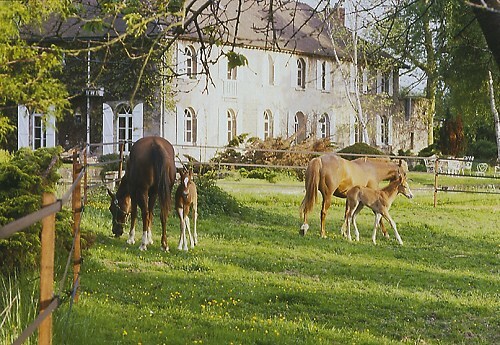 With mares foaling in this small paddock the foal imprints immediately with no adverse effect and will thereafter respect tape fencing for the remainder of its life. I've used a lot of fence in past year and HorseGuardFence is the best in the world. THANK YOU HORSEGUARD YOU WALK ON WATER. One of the principle of good pasture management is to never graze the grass too short. Horses are very efficient grazers they have the ability to quickly and efficiently eat grass all the way to the soil surface. When this occurs too often, it kills the grass. To make the task of managing your grass easier, divide your pasture into several smaller pastures and you will double or triple the grass production by selective grazing. Pasture rotation also helps to break the parasite cycle. 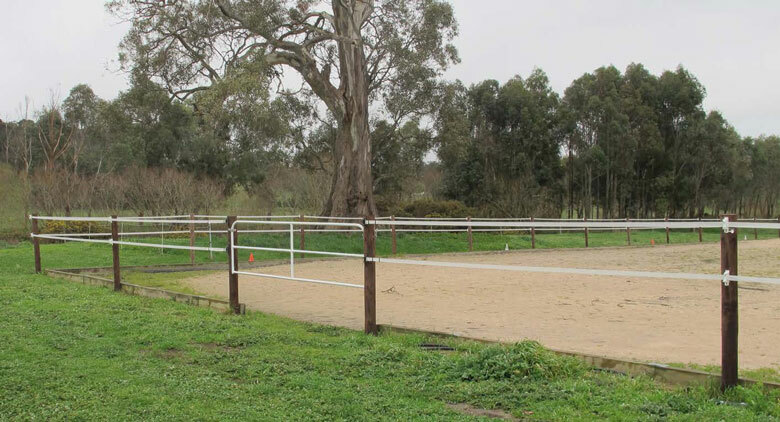 Separated small paddocks are convenient for isolation and useful at a horse facilities, with little maintenance required. I love this fencing system, which I have been using for 8 years.It is heads and tails above any competitor s quality and comparable in price.